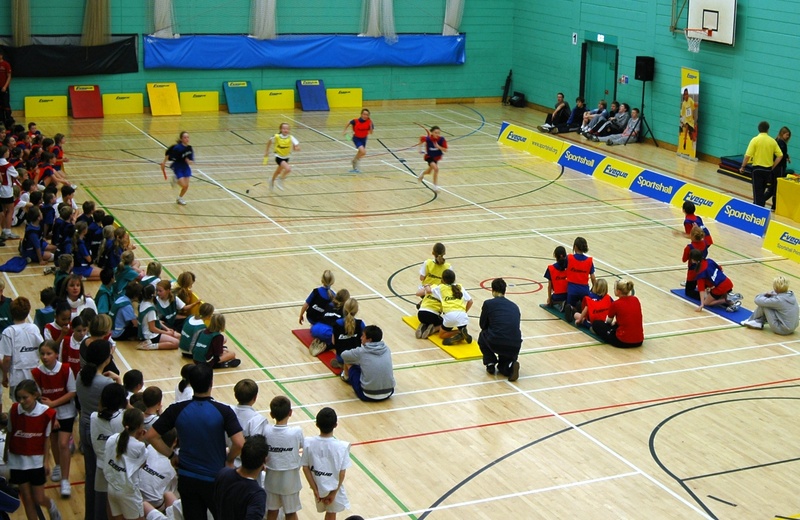 SPORTSHALL ATHLETICS is an indoor form of track and field for children between the ages of 4 and 16. It was created by George Bunner MBE to provide a safe and warm environment for young athletes to train during the cold and dark winter months. Following Sportshall Athletics introduction it quickly developed into a new form of team competition and the first ever Sportshall competition took place in 1976 with the annual UK CLUBS CHAMPIONSHIPS being established in 1984. Today Sportshall is the largest competition within the School Games framework and with an estimated user-base of well over 1 million children, Sportshall has more participants than any other School Sport Competition. The programme focusses on fitness and multi-skill development providing a grounding for all sports. It is totally inclusive, encourages children to get fit and promotes friendship whilst having lots of fun. Additionally, Sportshall promotes a wide range of community benefits as it provides a focus for mums, dads and grandparents to actively come and support their children. Sportshall also provides a stepping stone into after-schools sporting activity. In 2000, Sportshall Associates Ltd was formed by Eveque Athletics Equipment as a not for profit company to take responsibility for delivery and administration of the programme. Since Sportshall Athletics introduction, many new programs and resources have been developed. From 2013 Eveque now directly provide the management, support services, resources and equipment for all Sportshall and related programmes.